Posted on Thursday, May 17, 2018 by "T". Leading up to the 2018 FIFA World Cup in Russia, BitStarz is running a really cool promotion where every player can lay hands on $50,000 in prizes! - Play any game at BitStarz. 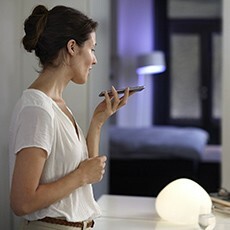 - Get a prize credited to your account. Psst! New BitStarz players who sign up via BankrollMob get 20 Free Spins (no deposit required) + €500/5 BTC + 180 Free Spins on the first deposit! 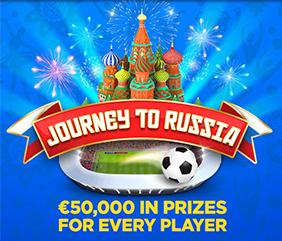 12 comments for "Journey To Russia - $50,000 in Prizes for Everyone!" A very exciting promotion offered by this casino BitStarz. I'm curious what is the minimum deposit to get these 500 euro or you can get this money with a minimum deposit. Anyway it is very interesting what BitStarz offers. I think this Srdjan Kapoor made a good promotion. This promotion looks a very good one. If you are a regular on bitstarz then, you might wanna play now to get your hands into that prize. I like this kind of contest where you collect something with your play,so more you play the more you go up and earn points,money,tickets or whatever is in game!dont play at this site,but good luck to all members who have account there and will play at this contest! Damn, this seems to be a very good promotion! I really want to go see the World Cup! It seems very interesting, but unfortunately I'm not good at casino games, so I think I have no chances. But for those who play regularly it's very good, they can win an extra prize! I hope some poker site get some promotion of those! That would increase my chances, but not so much haha. Very nice no deposit bonus and first deposit bonus! Simple registration and quick issue of a bonus 20 Free Spins. prizes during the promotional period. must have bigger traffic than the rest. Many online casinos exist nowadays and the activity of everyone does not think it is visible for all players. Our job is to try to make money if we can and the casino thing is to make money with many games or strategies. Obviously these casinos can show a profit but depends. I do not know if an individual person can ask for the annual balance and receive this but a player i think it is possible.